40 schools, 3500 iPads. No problem. From kindergartners to high school seniors, learning increasingly depends on technology. For the Technology team at Denton ISD, that means supporting more users, more devices, and more school sites. A four-person helpdesk team supports 5,000 teachers and staff. The district is opening a new middle school for the 2017-18 school year. With the workload growing and resources flat, the Technology helpdesk team looked to mature its service management processes to meet the growing demand. The helpdesk team can more easily deliver services to 40 school sites without driving to the locations. The team can work from anywhere. The team created a workflow to mitigate the impact of malware in email. The campus technician at the school is notified automatically to clean up the infected device. With Service Manager, dealing with the fallout from infected emails went from a chaotic process to an organized one. After the Special Education team witnessed Service Manager in use, it purchased the solution to automate processes and track workflow related to managing student cases. 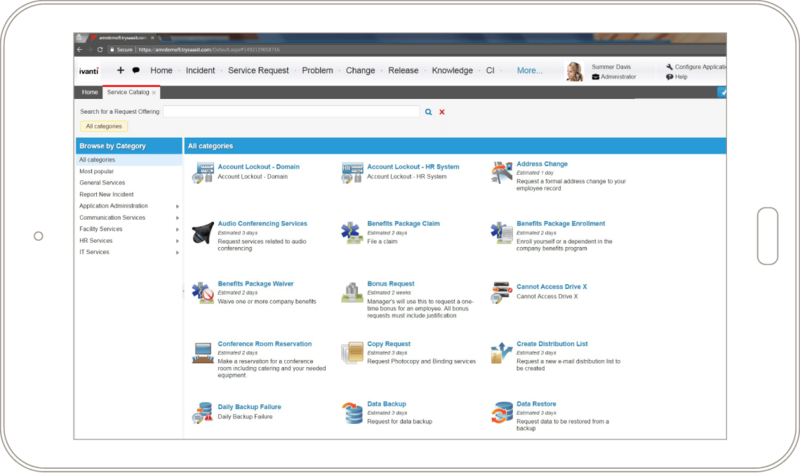 Self-service support helps guide Technology staff and teachers through common questions, such as how to reboot a server or find the asset tag on their laptop. The Technology staff uses the Ivanti CMDB to manage configuration items that comprise its services and infrastructure. 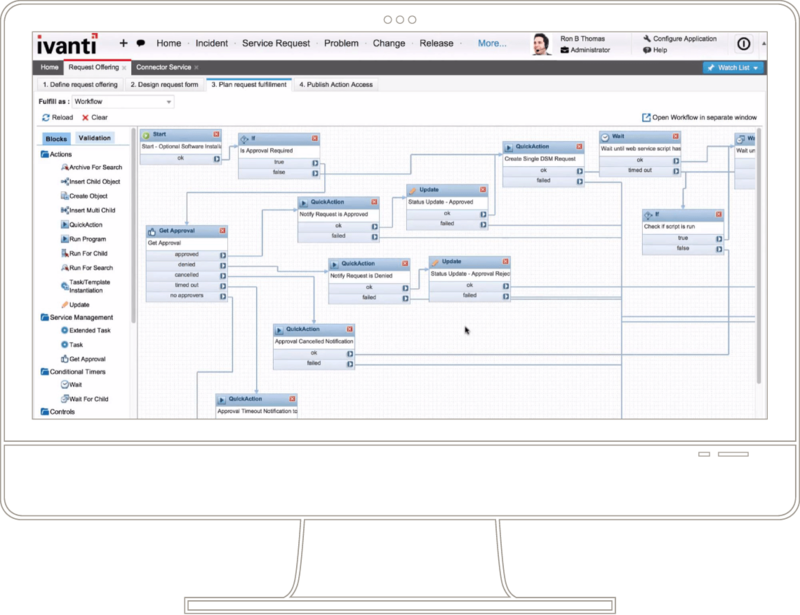 The Ivanti Voice capabilities in the Service Manager solution include integrated voice response, voice self-service, screen pops, call recording, and skills-based call routing. Denton ISD uses Ivanti LANrev Client Management to manage 3,500 iPads, streamlining endpoint management. For Denton ISD, Ivanti’s broad and powerful capabilities aren’t just about IT. They can be used to track almost anything. The Technology team continues to mature its processes, and is confident that its service management platform will grow with the organization.